Think Global has developed a simple framework to synthesise some of the complex ideas of good practice in global youth work. 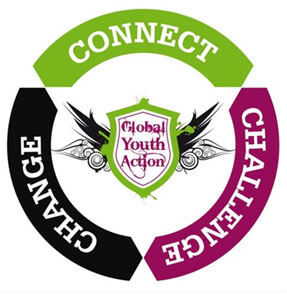 This framework is based on the concept of Connect, Challenge, Change, providing youth work practitioners with a model for planning and evaluating their own global youth work. Help connect young people to the global issues that matter to them. We support them to make the links between the personal, local and global, and to connect with peers who share their passions and concerns. Encourage young people to challenge themselves, to gain a more critical understanding of the world around them, and to challenge inequality and injustice. Support young people to plan and take action to bring about positive change towards a more just and sustainable world. For further information see our publication Connect, Challenge, Change. 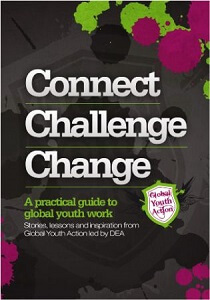 A practical guide to global youth work.